After our sit down with C-Trade, we quickly realised that many mistake orders for completed purchases. This is inaccurate and what actually happens is that after making an order there must be someone willing to actually sell those shares on the other end. If there are no willing sellers then that order does not match and thus you have not bought shares. You actually have to cancel that order to get your money back. Also important to note is that even if you make purchase order using EcoCash if you cancel that order your money is sent to your bank account and not the EcoCash itself. When we tested out C-Trade on mobile, we quickly realised a discrepancy. On mobile there was a minimum transaction of $10 whilst on the web portal, you could trade below a dollar. This was a strange limitation to have especially when one considers that this is the same platform. Anyway, the minimum of $10 is now spread across all platforms. So whether you’re accessing C-Trade on Web, Mobile or via the USSD option there is a defined minimum. Well, the C-Trade representative we spoke to made it clear that the option to send OTP’s via text were considered but enabling that would require an extra cost that would end up being passed to the customer. I kind of understand this argument because when it comes to investment you are generally dealing with low figures so charging customers for the texts would be slightly irritating. Inversely you can also argue against this decision and say it feels like an excuse as bulk SMS are much cheaper and would be a good option to have. This would especially make sense for the people using C-Trade via USSD. The assumption is that if you are using C-Trade via USSD you don’t have access to the internet or at least frequent access. So why that same person would then have to get confirmations via email is a bit baffling. Anyway, C-Trade made it clear that they are working on that and they are looking to make SMSs optional. This will definitely be a welcome addition. Financial inclusion is the word making the rounds and many were disappointed when they realised that, though they can buy orders using EcoCash once signed up, they couldn’t sign up using EcoCash exclusively. To sign up you NEED to have a bank account. After sitting down with C-Trade they made it clear to us that this was more of a regulatory issue. EcoCash, though convenient, doesn’t have the strictest KYC (know your customer) procedures. They certainly aren’t comparable to what is offered by the banks and because of this, they don’t comply with the SEC’s regulations. It’s a reasonable explanation and being that’s a regulatory issue one does understand how C-Trade can’t be faulted for this. For SEC and ZSE who are constantly calling for more investors and creating an investor culture, it’s clear they need to find a way to involve people who are not banked in the investment pool. Why is this problem faced only by C Trade?, with traditional brokers it might delay but in the end you get offers. I also I got excited when C Trade was introduced, instead of using my traditional broker I deposited using ecocash. immediately I saw that there was a problem considering the delays I faced and quickly cancelled and withdrew my funds to which were credited to my bank account, another frustration. C trade should not only make buying of shares easy but should also enhance high frequency trading. We still and will always look forward for that day. Right now ZSE is suffering from static price action. Ever since the launch of the widely publicised C Trade platform we have been following it religiously, from opening account, depositing funds and making an online order. 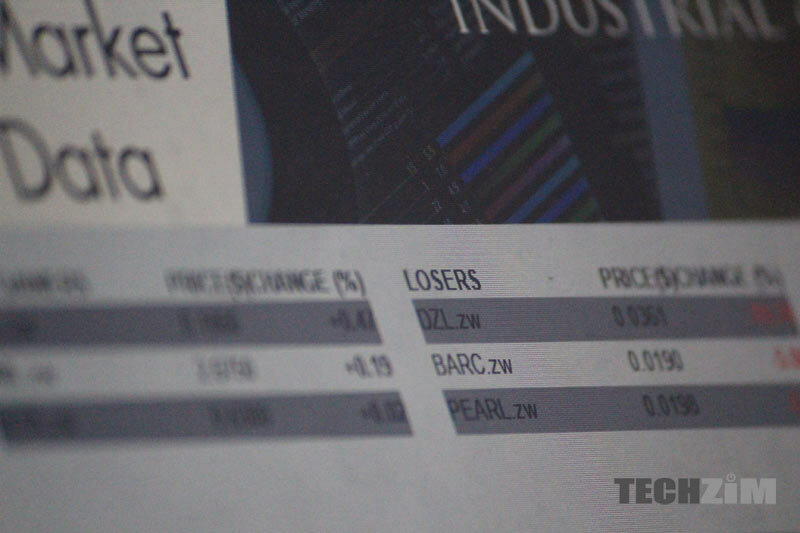 By the way C Trade is an online trading platform that allows investors to directly trade on the Zimbabwe Stock Exchange (ZSE), a move that was set to deepen the capital markets., Basically to register you are given an online form where you fill in your datails and wait for about a week and some days to receive an email with a link that activates your account. We followed the procedure, one of our guy’s account was activated any without any hustle but as for mine I had to follow up through calling to which at first they said there are no details of my application in their system but eventually I ended up succeeding. without wasting time, we deposited some funds and made an order only to find out after a week and that they was no successful buy. What could be the reason? 1. We were not bidding cleverly, like in auction highest bidder wins. So we started changing our ways of ordering from buy order, to instant buy but still there was no success. We also placed a high order and still nothing, so we called our broker and visited a few still we didn’t get a clear answer as some urged us to hang in there. We also discovered that when using C Trade choice of broker has little to no difference at all as execution of that order depends on whether it is matched or not on the market, therefore the broker has very little control if any on how your order is executed. The broker can see that an order from C-Trade but cannot identify the specific underlying client and even after the order is executed they cannot tell which client bought. In conclusion the choice of broker on C-Trade has very little influence on how your orders will be executed and so the journey to we master how to bid for shares and have consecutive streaks of win is still on, which shouldn’t be the case though inspect to other countries. 2. Maybe C Trade system was not fast enough to complete bids before traditional brokers cleared all offers. The answer we got from that question is that, C Trade has an arrangement with brokers, honestly I didn’t understand what that meant. 3. Maybe the market is so illiquid so much that there are no constant offers. But still we dispensed this notion after we noticed a slight price movement of the stock we wanted to buy in the past Week, someone was selling and someone bought but what criteria was used to make someone get those shares. Did they use a traditional broker, did they use C trade we will never know. Sounds really intelligent and designed with efficacy but still it didn’t really answer the 1 week period. For those who trade forex using MT4 platform that has almost 3 trillion of orders placed every single day it takes only a click of button or mouse click to buy your pair of choice currency but here we are talking very very little volume of stocks being traded. Hopefully C Trade will soon have a very comprehensive program to teach its clients on how to use the platform, challenges to be expected and how to overcome them.